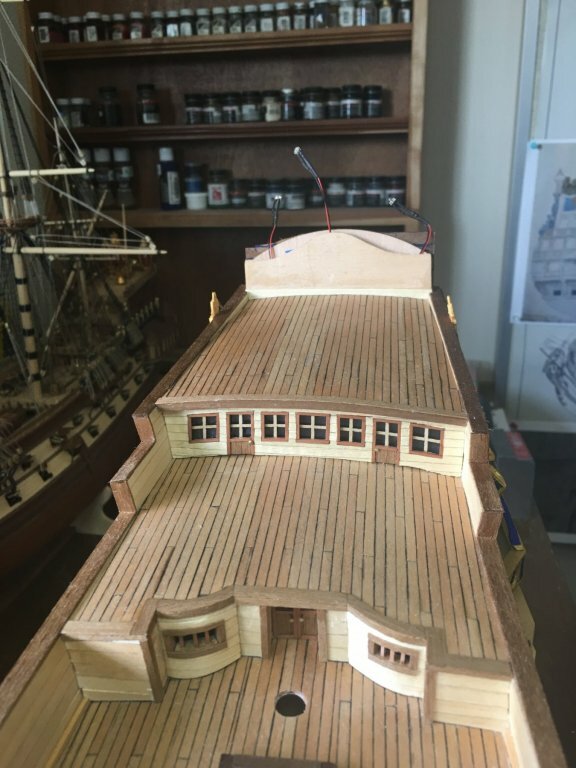 Forecastle deck is built! 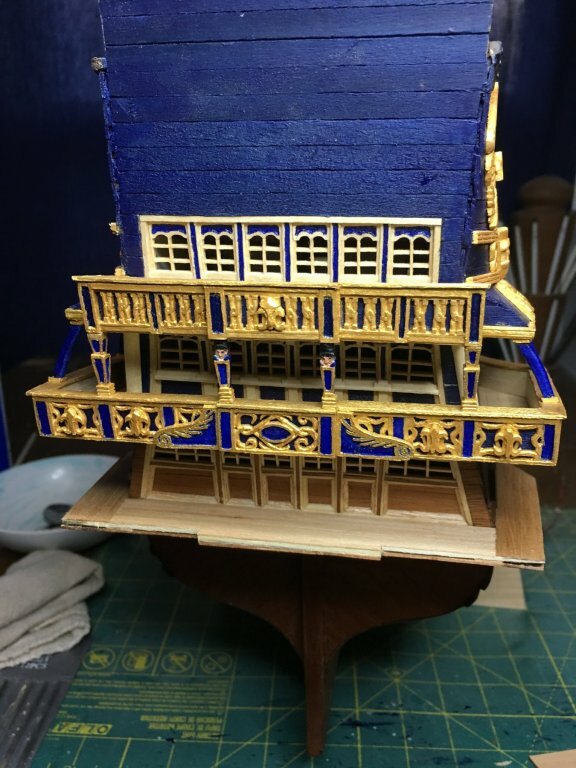 I think I’m gonna go back to working on the stern balconies and quarter galleys. Time to get back to carving! 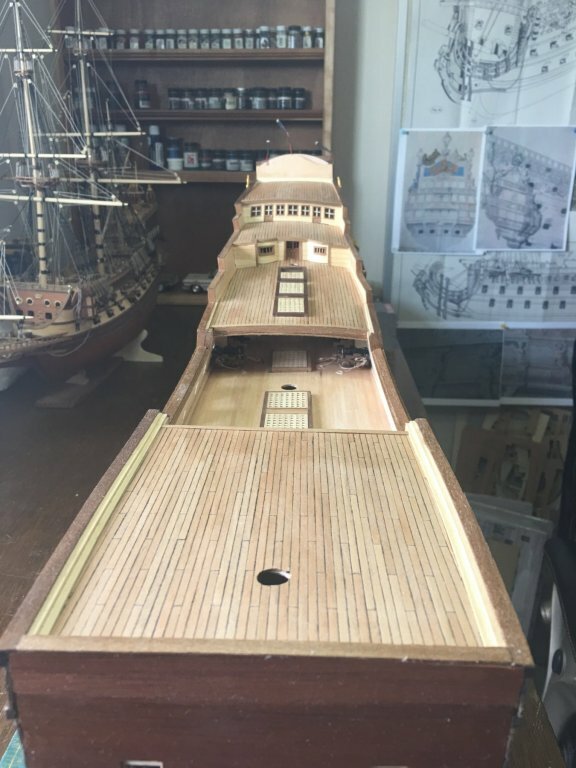 Nice work on the forecastle--great planking work and the stringers look just right. Thanks you all for your nice comments, likes and visiting. Always appreciated and motivating! Building the last balcony. 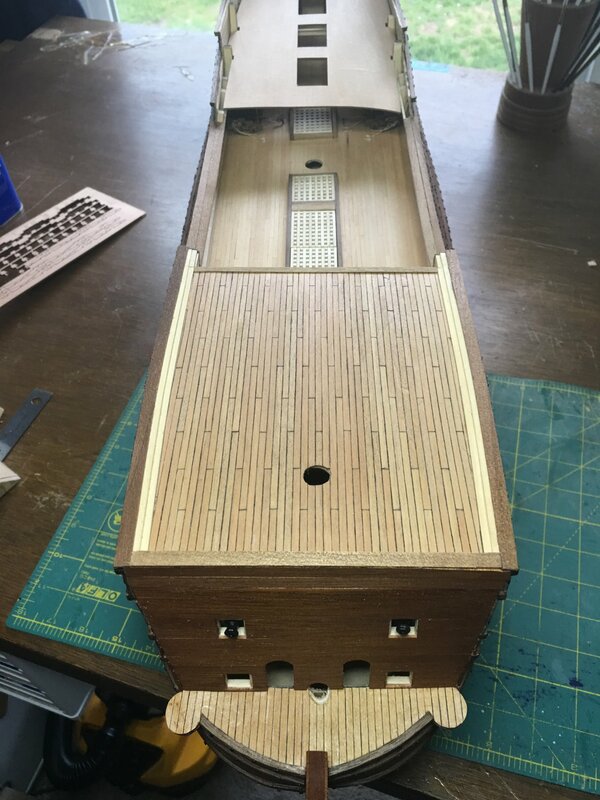 Finished the deck planking tonight and will start fitting the bulkheads next. The easy part is almost done then back to carving. Always a pleasure dropping by your shipyard, very nice detail work! Thank you all for the compliments and likes! Ive has a very nice long weekend and managed to get a bunch done on the last balcony. This one I am doing in the same mahogany wood coloring as the hull with white the predominate trim color. 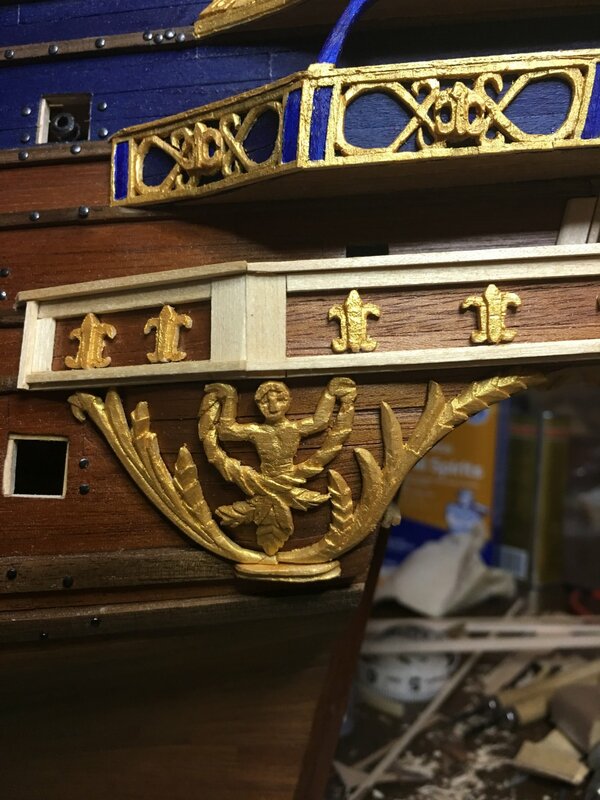 The gold on this tier will only be used as an accent to the carvings such as what is done on the balcony supports on the stern counter. Still have ave plenty of work to do but it is nice to finally see all three balconies in place. You are getting there, EJ! Great work! 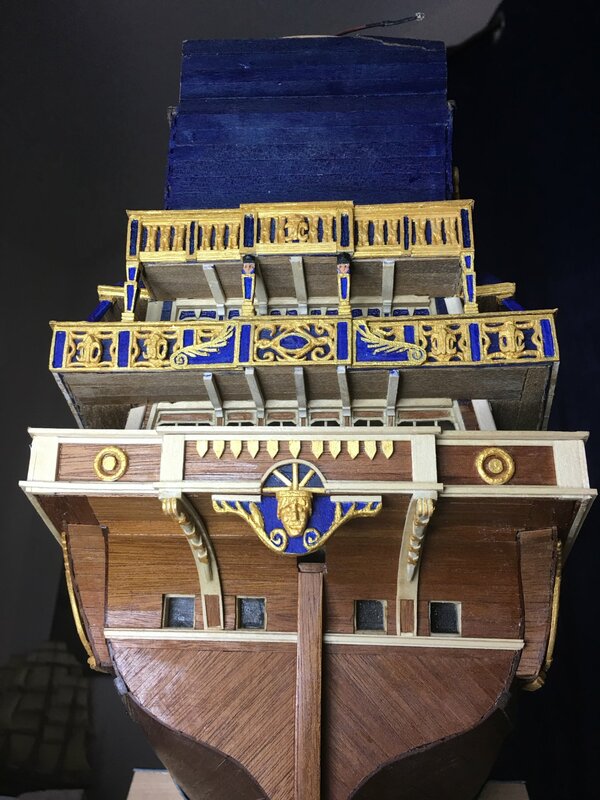 The model gets more and more impressive with each addition. Couple more updates. Added a lot of the decorations around the balcony rails and have started to build the lower round portions of the quarter galleys. 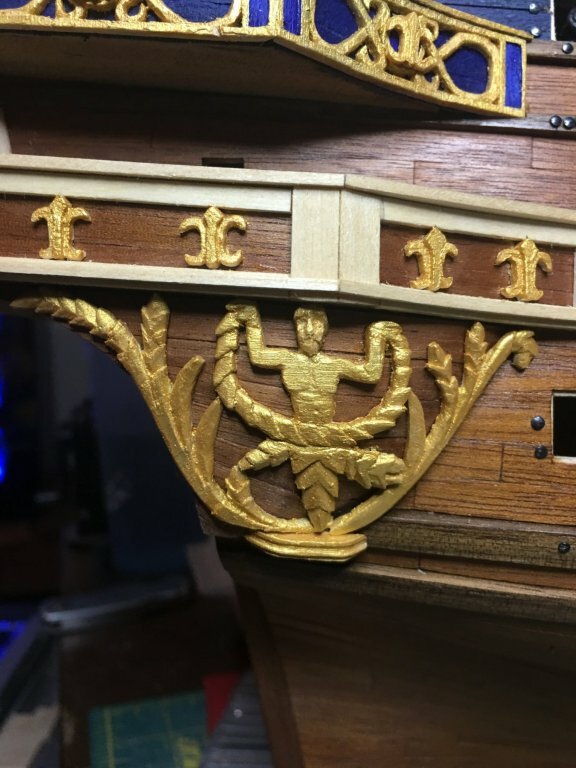 I wasn’t completely sure how the aft edge should really look. 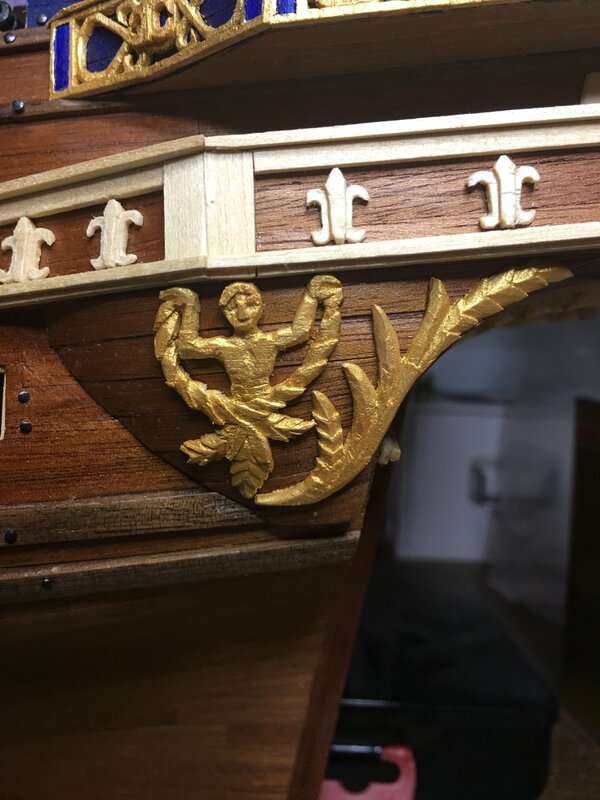 On one hand, a lot of the images I have suggest that it should be more rounded outward towards the stern but I chose to make it adhere more to the stern counter’s curve. This has been a trick to figure out how to build. I’ve never seen any real plans or images that show how these areas would have been constructed or if they were used for anything or just dead space in the ship. Hard to imagine dead space unless they just needed extra weight for balance so I imagine that there could have been stoarage in this area. 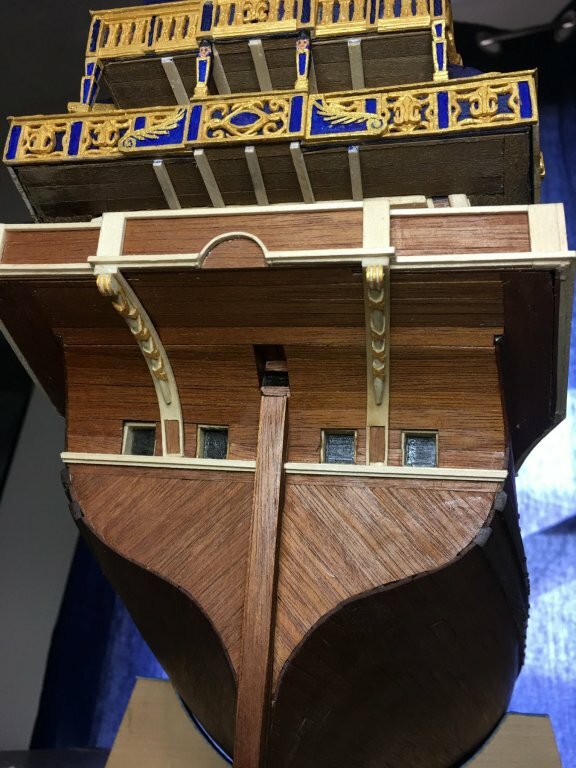 In in any case, mine were carved out of a box wood blank and then planked over to match the hull. Carvings will go on next. Super nice - you are setting the bar higher with each update. She's looking awesome. Thank you all so very much for the compliments and likes! A couple more carvings have been completed since the last update. 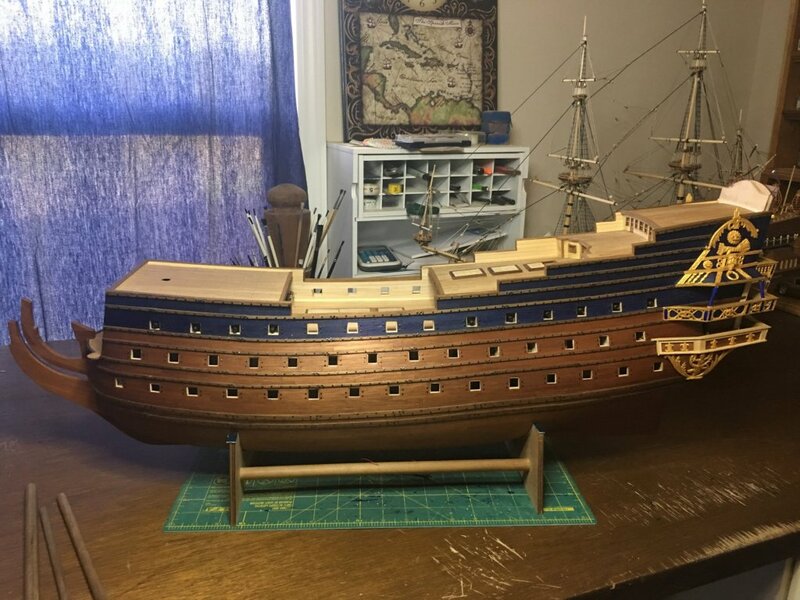 Still have to make the forward branch and the the bottom trim piece. I’m still having a hard time with faces but I have several more to carve so I will definitely get practice! nice job on the bottom balcony EJ.......looks superior! 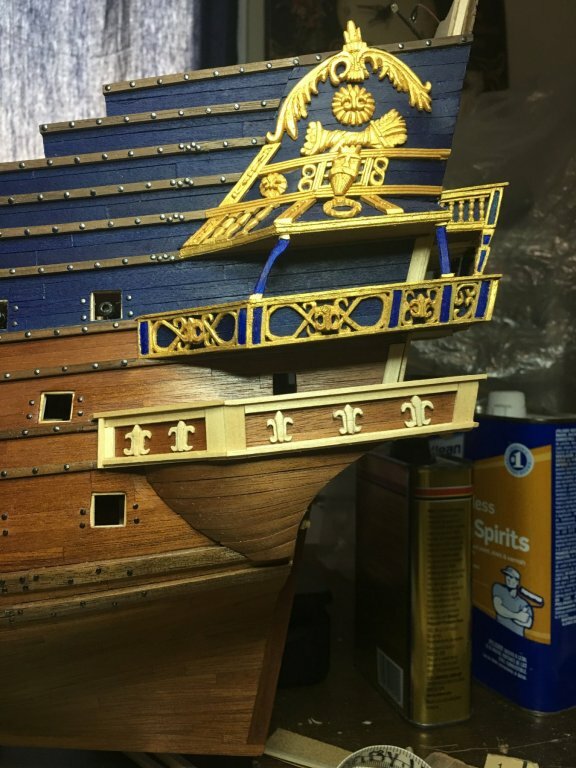 are those decorations dry fitted?.......they will be gold I imagine. your carving is getting better and better with each piece you make...gonna be very ornate when done! 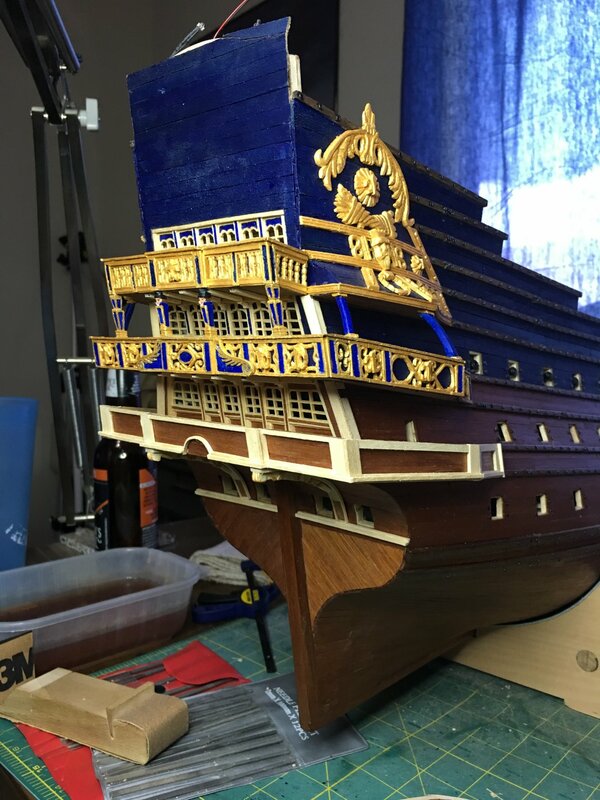 Every time you make another addition, the boat becomes more impressive. I’m still working out what the color scheme will be on that tier. 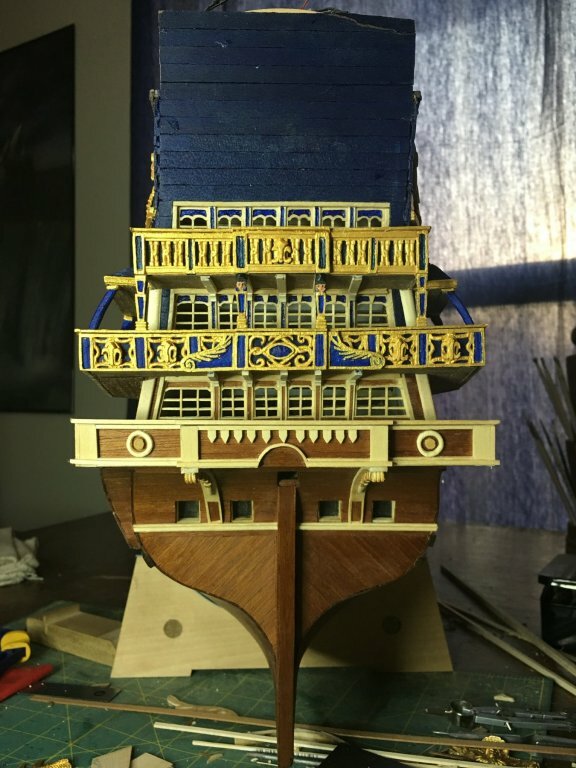 I was going to leave that time be all white and mahogany but, I am thinking I am going to put the gold on the accent decorations and leave the trim work white instead of going all gold as I did on the upper tiers. I figure that will be a good starting point and I can always add more paint easier than removing it. 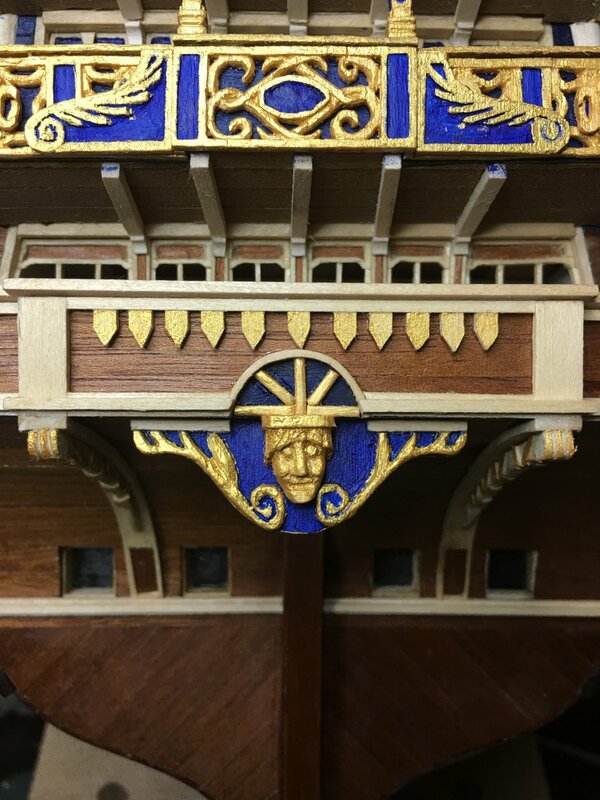 Finished both lower quarter galley decorations. The overall appearance is really beginning to have the wow factor now. Still have many more carvings to add but, it is nice to have the structural work in this area complete. So this was an interesting piece to make. All I keep thinking while looking at it is that this really is nothing more than an expensive target for enemy gunners trying to disable the rudder. So now I have come to the statues that go between the bottom and middle balconies. Not sure how to do these just yet. 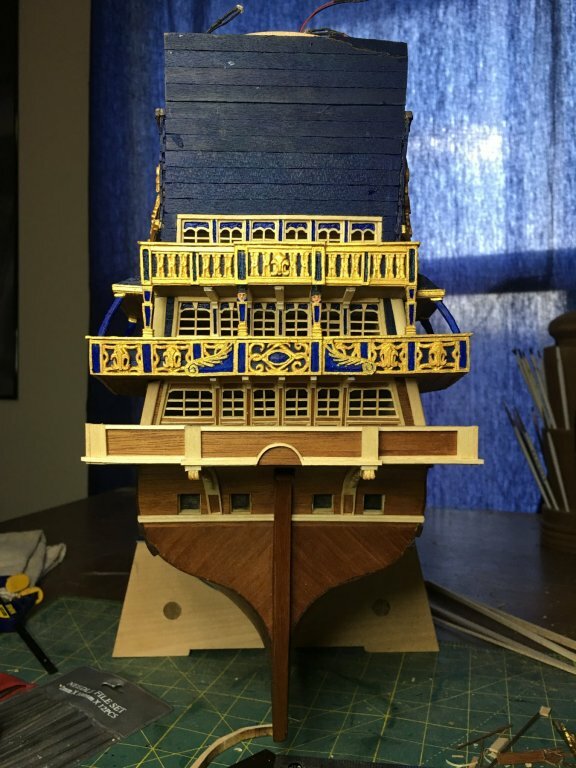 May work on the quarter decks while I think it through. I need to get some more blades and I also want to maybe try a harder wood for these carvings. Something that might hold detail better. This boat is amazing! 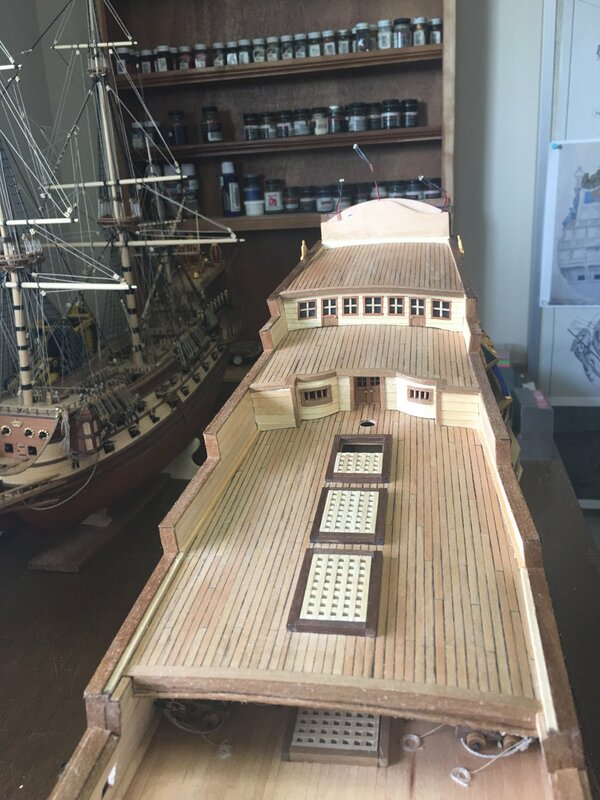 I wonder how long it took to build the actual ship back in those days. So much carving. 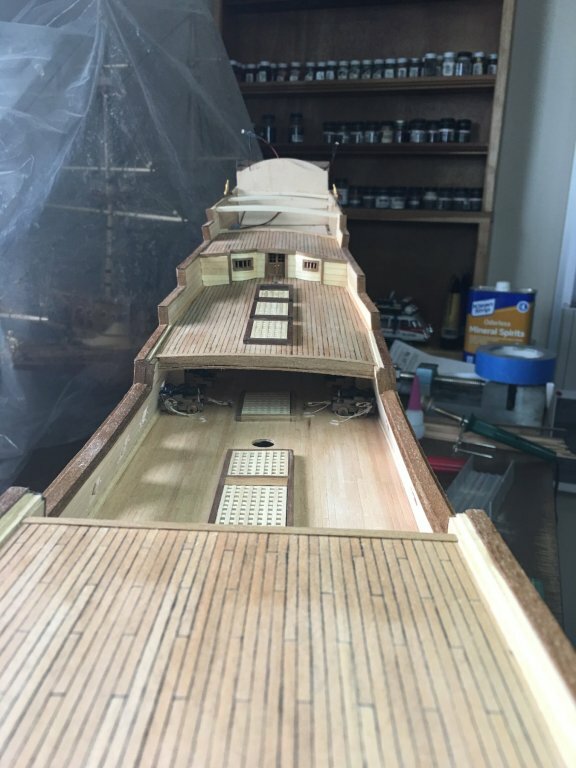 More deck work has been completed with one more to go. 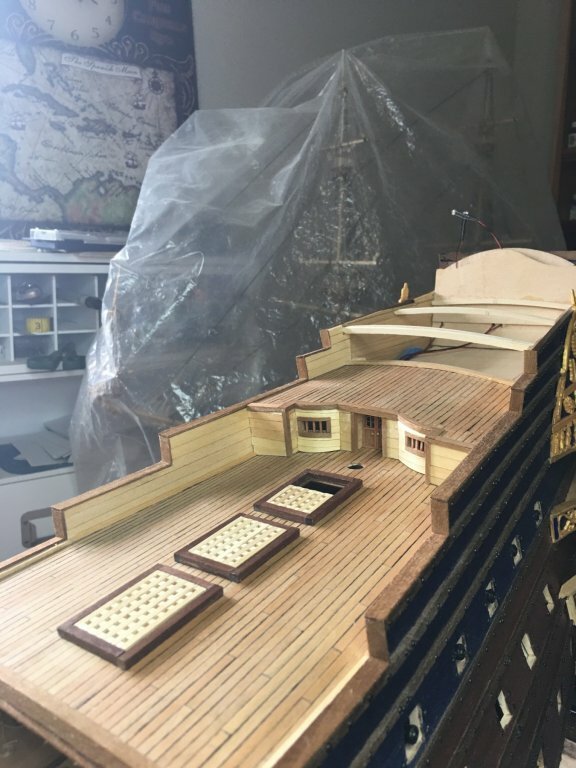 It is good to finally get the interior decks done as that means the bulk of the “dirty” work on the build is nearing the end. Still have a lot to do so that end is a ways away yet but, still visibly closer. Now to finish up with the royal poop deck and then back to more carving! 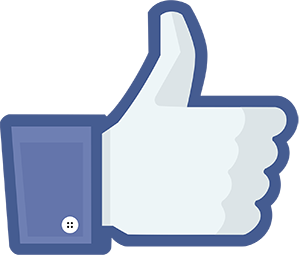 Thanks to everyone for the nice words, likes and stopping by. 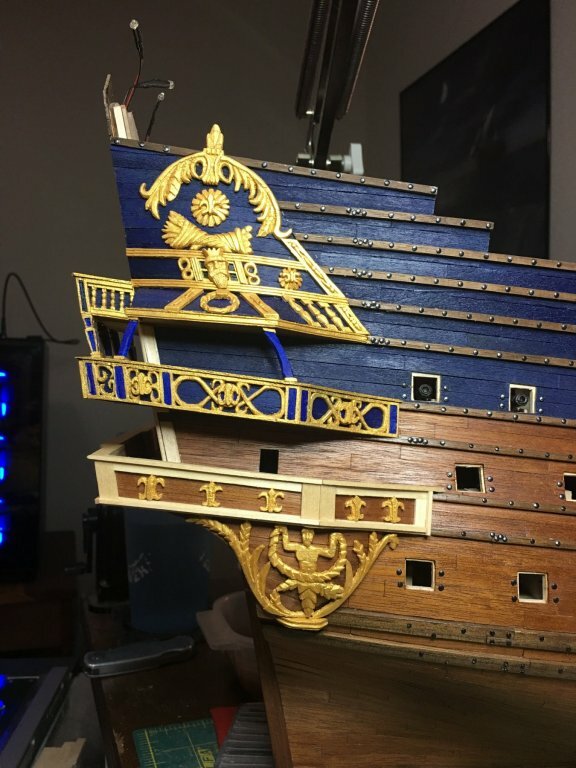 As always, your support means a lot to me on this build. 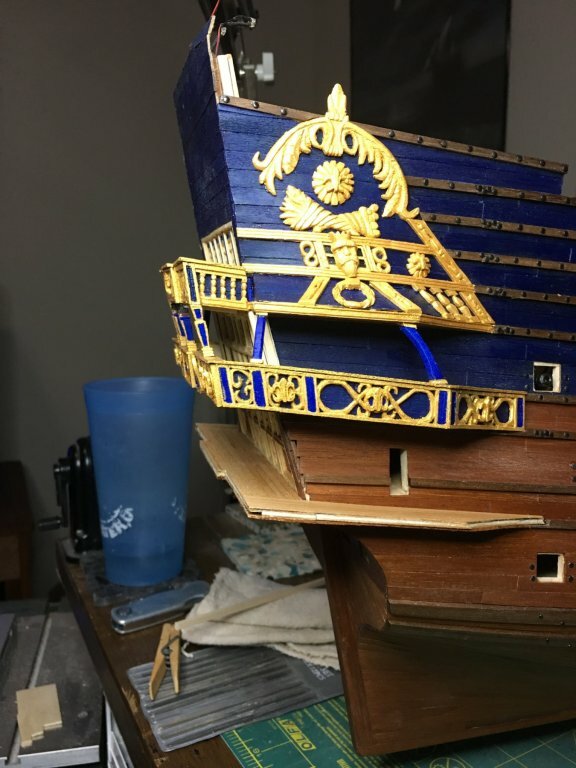 Next up will be more carving work on the stern. 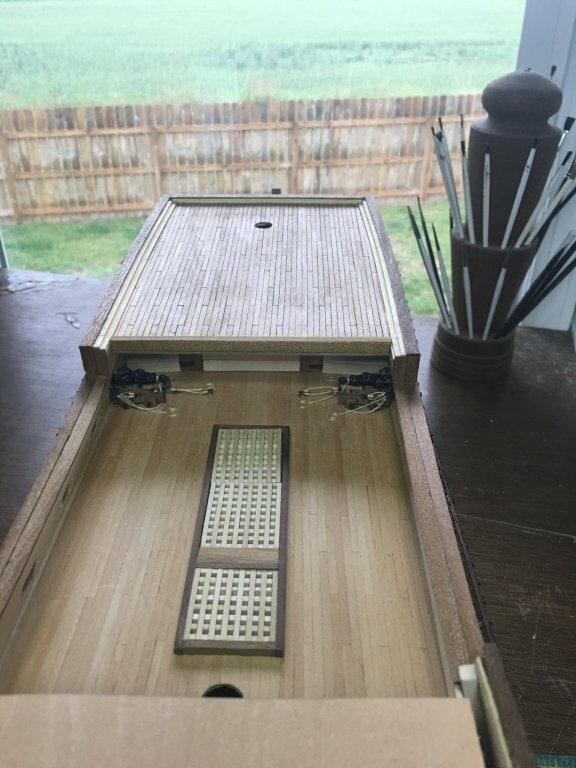 I need to get the upper decorations started so I can finish shaping the taffrail. absolutely stunning loving this build more and more Elj .